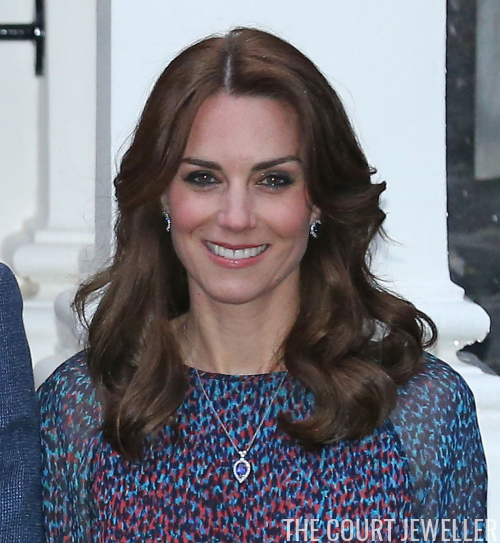 Kate wore a suite of diamond and tanzanite jewelry that she debuted last year at St. Paul's Cathedral. The necklace and earrings were made by Collins and Sons. 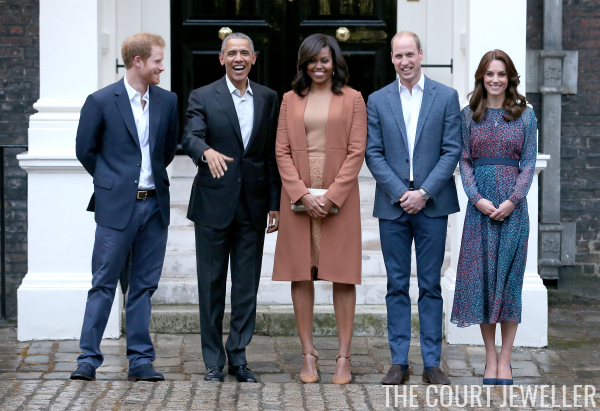 Here's a look at the set from its previous outing, which was a service of commemoration for British troops who had been stationed in Afghanistan. 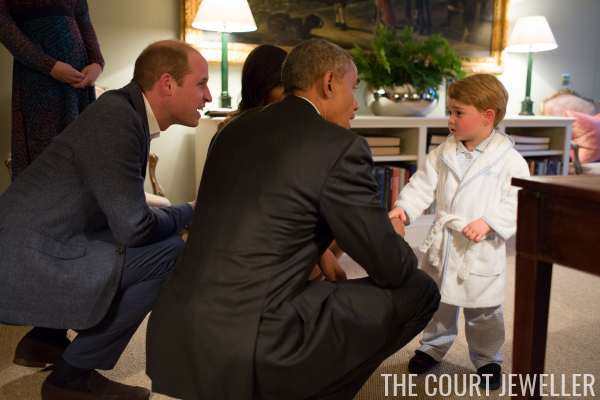 But the jewelry really wasn't the story of the event -- it was the unexpected meeting between an American head of state and a bathrobe-clad future king. 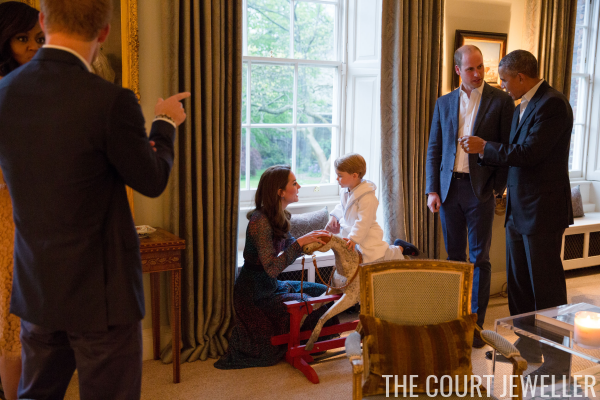 Prince George came out to greet the Obamas and demonstrate how much he enjoys the rocking horse they sent when he was born. It's just good manners, even if it is bedtime.